Do you enjoy drinking a cup or two of coffee a day? You can actually have four. According to a recent observational study, people who drink coffee often have a lower risk of dying early and this becomes more significant when they have reached 45 years old. 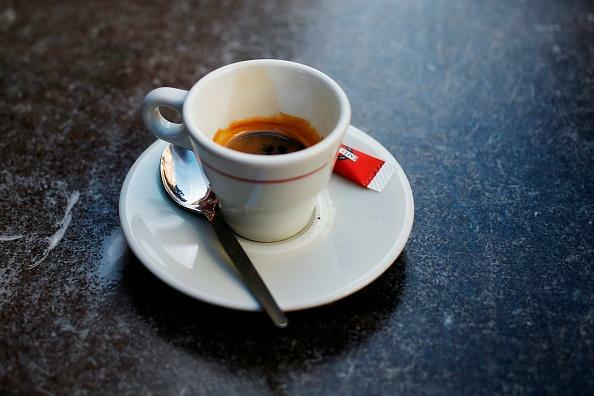 Scientists from the European Society of Cardiology monitored 19,896 individuals with an average age of 37.7 years and their coffee drinking habits over a period of 10 years. During this interval, 337 of them died. The proponents found that there was a 64% lower risk of all-cause mortality for those who consumed at least four cups per day, compared to those who never or almost never had it. They also observed that for every two additional cups daily, the risk became 22% lower. Of the different factors considered, it was seen that those aged 45 years old and up and consumed two extra cups per day had a 30% lower mortality risk. The association between coffee consumption and a younger age was not apparent. That said, if you’re still under 45 and have a habit of downing multiple cups of coffee per day, you might be in for a pretty good run when hit middle age — provided, of course, that all other healthy lifestyle factors are met. Still, it’s great to know that even science backs people’s passion for a good cup of Joe — or four. Here are 10 science-approved health benefits of consuming coffee daily. 5. It is good for your liver and lowers your risk for fatty liver, hepatitis and other related diseases. 7. Coffee helps fight depression. One study shows those who drink four or more cups daily have a 20% reduced risk for depression. Another also observed that the same amount lowers the risk for suicide by 53%. It is important to note that while caffeine does increase one’s heart rate, the boost is not so significant as to push your blood pressure to a dangerous level. The effect also tends to fade the more you drink coffee on a regular basis. So, the next time you find the urge to indulge in a cup of your favorite brew, go ahead and enjoy it. It could buy you more years to spend with family.